Is Australia trying to become the Southern Hemisphere hub for psychedelic music? It almost seems like it with their recent roster of psych bands to come out of there that includes Tame Impala and Temples. Now, a three-piece band out of Sydney, Australia called Jagwar Ma are starting to make their rounds on this side of the world as well. 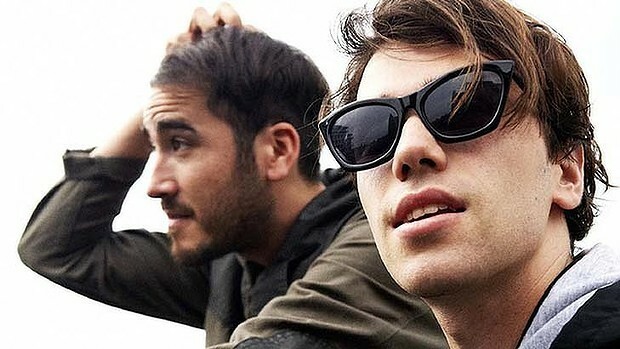 In contrast to the other two bands, Jagwar Ma lean towards being more beat-oriented; on the spectrum of psychedelic, they venture onto the plain of trip-hop and acid house more often. I was recently sent their debut album, Howlin. I wasn’t sure if I liked it at first cause it wasn’t what I’m used to hearing. However, the opening track, “What Love,” managed to get stuck in my head and forced me to give it another listen. Now, the rest of it is starting to sink in and I’m digging it a lot more. Check out my favorite tracks of it below. The album is available on Mom + Pop records. For tour dates, check out their official site HERE.